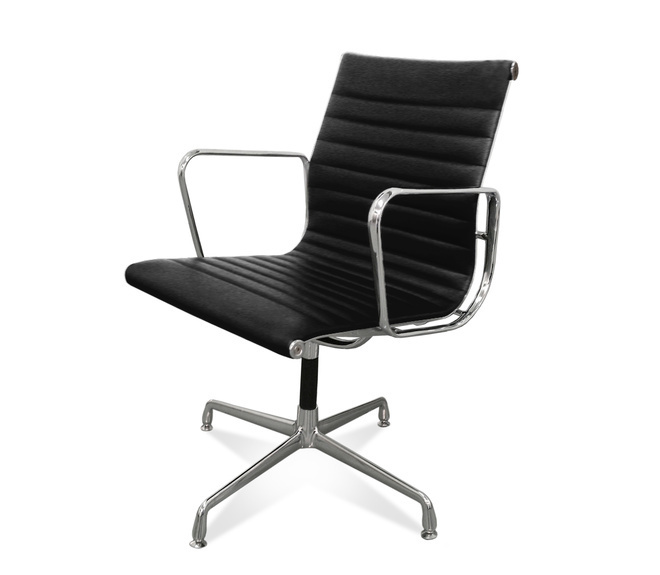 The Office Chair EA 108 is a piece in the Aluminum Group by Charles and Ray Eames. 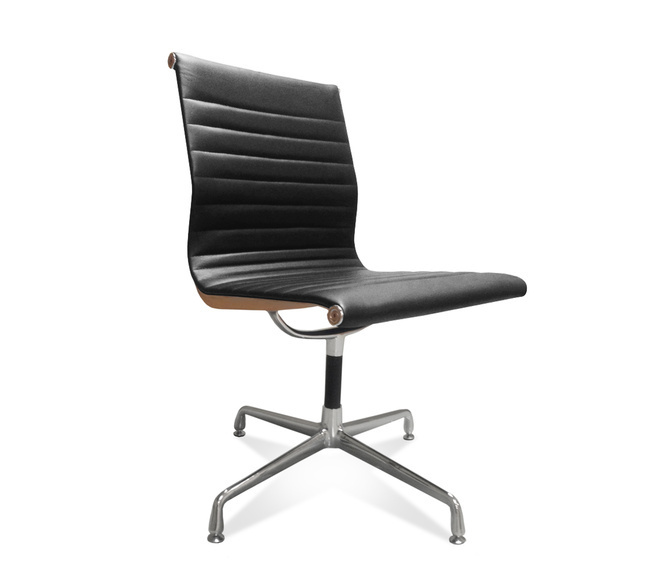 The classic and modern design of the Office Chair will meet any need. 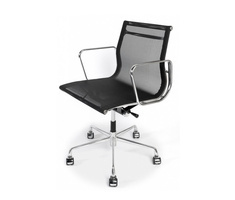 The framework manufactured of aluminum is covered by an aniline leather cover in ruled look. The four-star base can be equipped with wheels as well as with sliders - both are in the delivery content. 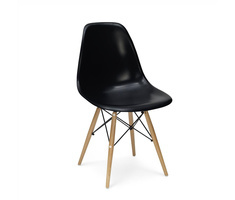 The content includes also armrests, that can be mounted as well as not. 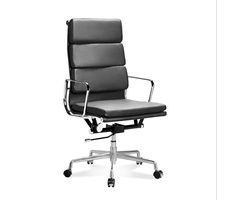 The rotation mechanism provides additional comfort. 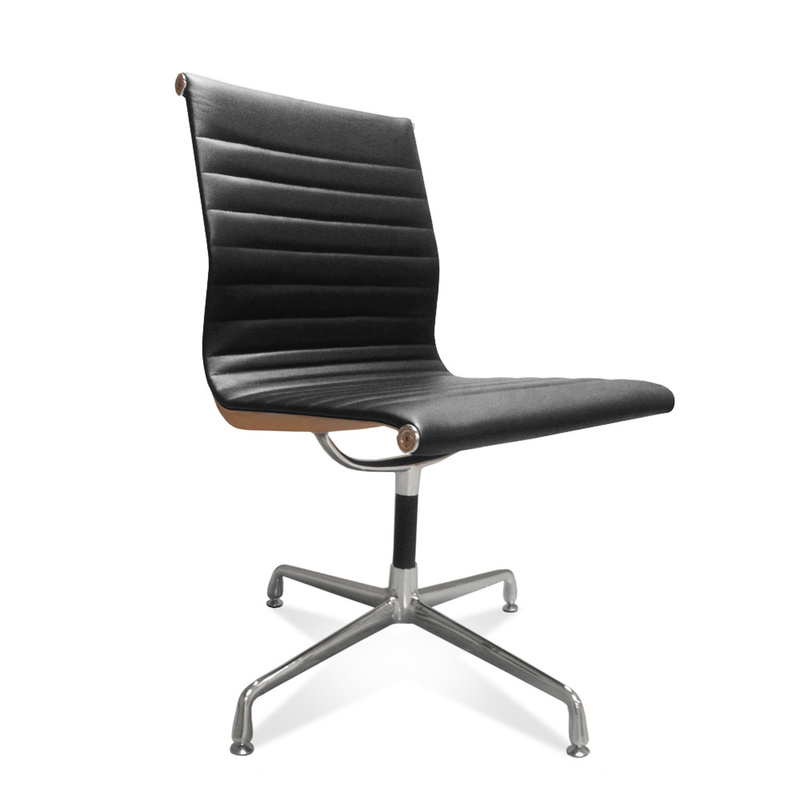 The EA 108 is extremely suitable for conference rooms, as well as for the regular office, and for the home office that is growing in popularity. 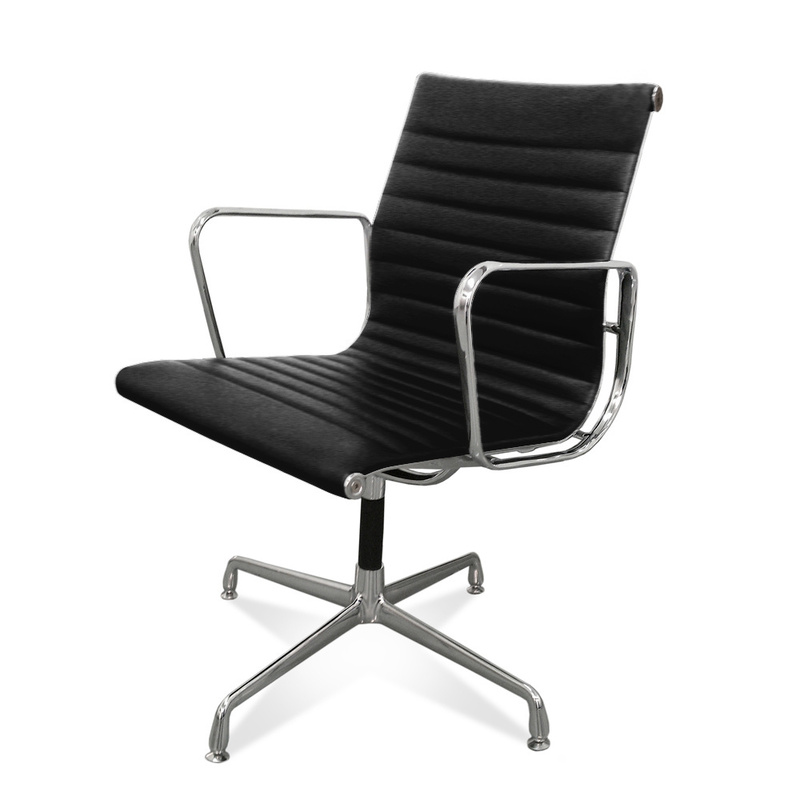 The Eameses had their finger firmly on the pulse with their group of office chairs. 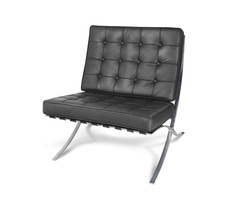 The modular design was and is still unique. 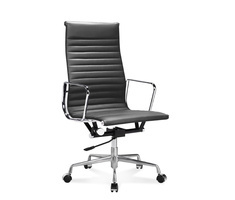 They fulfil all needs, not only of ergonomic balanced workplace, but also of a classy workplace.